Urban Thinker » OC 56: Greening the City Globally? 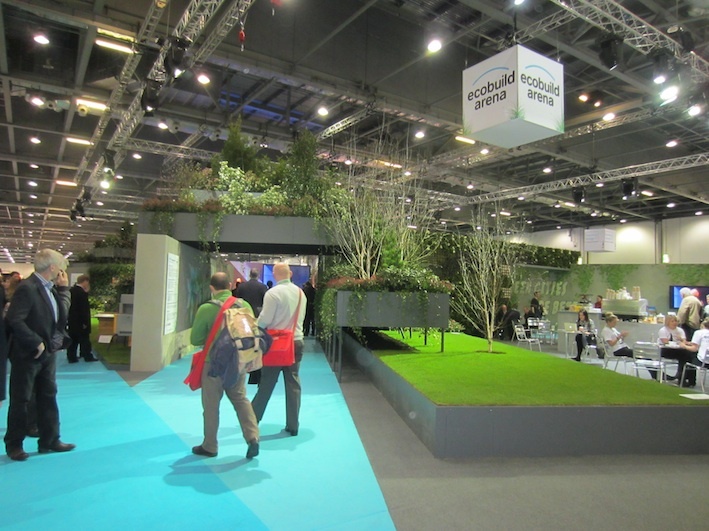 Ecobuild, a trade fair in London promoting “sustainable building” has been going from strength to strength for nine years, despite the financial crisis and various changes of hands. In 2011, UBM acquired International Business Events who owned ecobuild and planned to make ecobuild global, starting with an exhibition in Shanghai alongside its show expobuild and expanding into India and Malaysia. 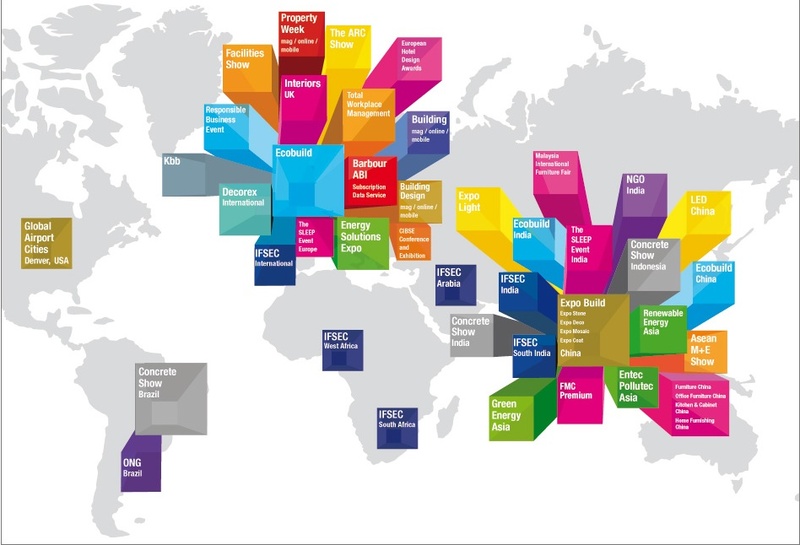 UBM is again UK based after some excursions to tax havens. With 6500 staff in 40 countries it operates worldwide, except in Africa and with just one outlet in Latin America. UBM ‘Global built environment’ specialises in construction, property, architecture and interiors. It owns among the most prominent UK publications on the production of the built environment: Building, Property Week, Building Design with their digital outlets. 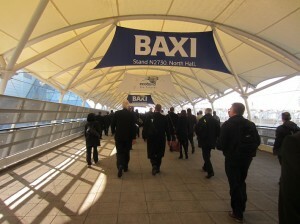 It is providing over 60 ‘products’ for the built environment communities around the world. 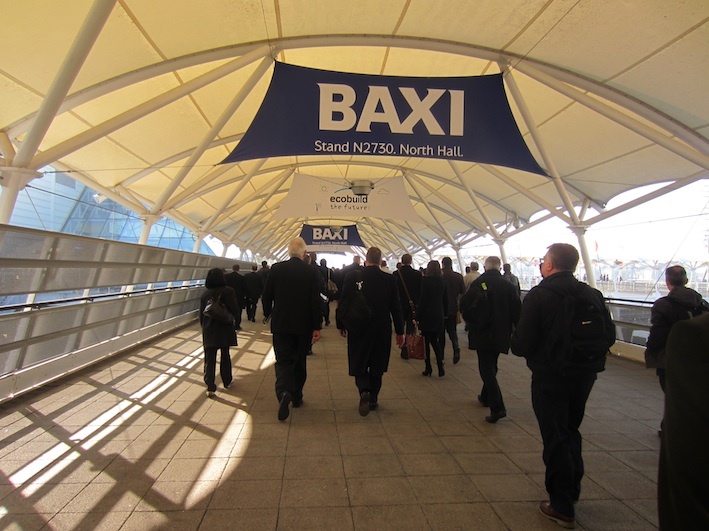 Aimed at the development industry its many specialised trade fairs and events on government construction, supermarkets, residential property, concrete, lighting, hotel design, luxury interior design, interiors and kbb (kitchen, bedroom, bathroom) may not have sustainability at their core and resemble more traditional construction trade fairs. Nevertheless, considering that UBM prides itself of its own ‘green’ credentials, http://sustainability.ubm.com/ and that the climate change specialists urge the world to change its ways of living beyond the planet’s capacity and to curb CO2 emissions, such a global organisation with a large commercial clientele and the ears of government could have a crucial influence on making cities more sustainable. 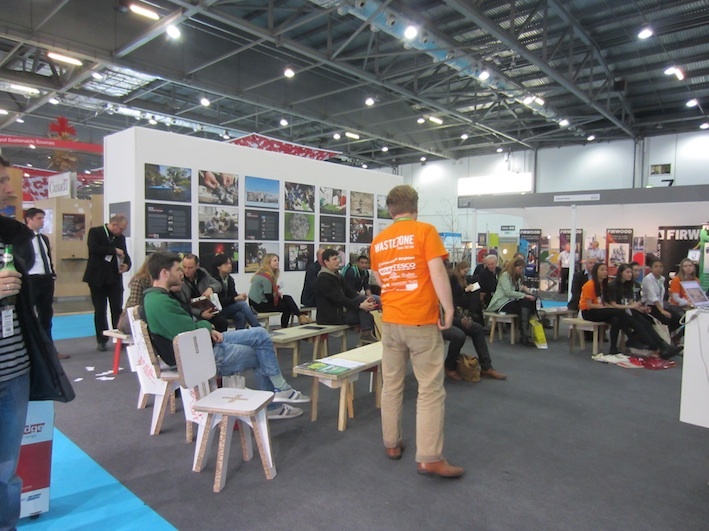 The 2013 ecobuild trade show, the largest so far with over 60,000 visitors, 1500 exhibitors from 20 countries and 800 speakers, held at the Excel exhibition centre in the Royal Docks in London, had become more user friendly with lots of cafes enabling stakeholders to network, and a fledgling press information tent, alongside many technically informative presentations by exhibitors. 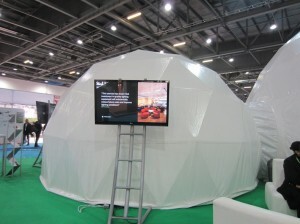 The one that stood out was the ‘evolution of light’ showing the effects of LED in interconnected domes. 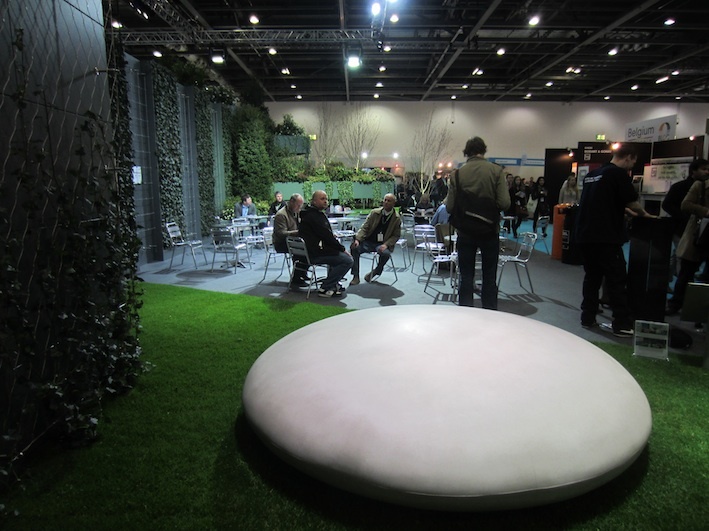 This was an inspiring presentation and attracted many visitors also to the surrounding commercial stands. 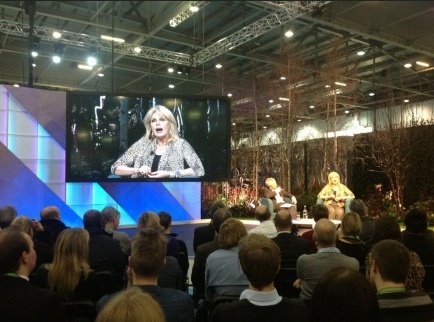 Joanna Lumley, a crusader for many good causes, was the highlight of this otherwise technical show where construction material producers and building services were presenting their ‘green’ credentials. The organisers reinstated the public arena, clad with green walls and surrounded by beehives, alongside their conferences and seminars on selected themes. Chaired by senior media personalities, ministers and MPs presented government actions on ‘sustainable development’, together with contributions by experts, university professors and practitioners active in sustainable development. Together these contributions represent an outstanding amount of technical know how and it is regrettable that the organisers no longer make them available although this could have some lasting influence on decision makers in construction companies as well as public authorities. The conference themes covered sustainable property, design and architecture for sustainability, making sustainable construction happen and sustainable policies beyond construction. The seminars focused on the passive house which was exhibited, with focus on green energy, water, waste and materials, buildings in use, refurbishment as well as sustainable self-build and renovation, and broader themes such as property, refurbishing Britain, rules and regulations, building information modelling, sustainable by design and delivering sustainability in the city as a whole. The latter discussed what smart or resilient cities really meant, how nature could be reintegrated into the city, what urban form was truly sustainable and how cities could be regenerative themselves. Demonstrations to confirm the worth of sustainability took the form of an eco-city system model, the shape of low carbon communities in Sweden, as well as the trend to focus on small persistent urban changes involving the local community. 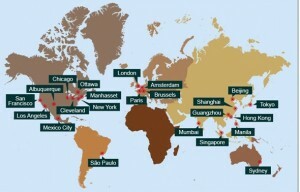 Not surprisingly, the focus turned to money, and how sustainable cities could pay their way. Investors and some government representatives considered that it was up to designers, urbanists and protagonists of social and spatial justice to make the case that blue and green infrastructure was able to create economic value. It was up to them to demonstrate that sustainable urban transport, participatory place keeping and water-sensitive design, all constituent parts of a sustainable built environment were not an add-on but an essential part of a city’s long term value or attractiveness, in physical, as well as socio-economic and environmental terms. 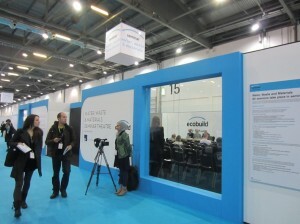 A trade fair like ecobuild, by bringing together so many different stakeholders of the development industry and those who are responsible for a sustainable future of cities, has great potential to generate exchange of experiences which could lead to innovation and experimental implementation of the many creative ideas which were voiced at the commercial stands as well as at the discussions bringing together professionals, academics, practitioners and producers of cities. I am attending a course on sustainability and the built environment, as part of which we have discussed the increasingly influential British urban thinker / planner Jonathan Manns. We have been introduced to some of his more recent works and spent a seminar to consider the merit of his calls for a rational and critical approach to the development process - such as his definition of Low Impact Development. We have to look at the work of one person for our assignment and I will assess his approach to sustainability in the context of the international eco-town programmes. Whilst he has several pieces on the topic I cannot find anything recently, dating from 2008 onwards. Can anybody tell me what he thinks about eco-towns now? Has anybody attended a relevant lecture or read any other work or comment which may be relevant? Help is much appreciated! While I do not know the work of Jonathan Manns but will explore, I can inform you that the University of Westminster forms part of the International Eco Cities Initiatives (coordinator d.tomozeiu@westminster.ac.uk). UCL Bartlett is also carrying out research in this field (y.ryden@ucl.ac.uk). You may also be interested in the 8th Annual Green Economics Conference, which will be held at the University of Oxford from the 18th to 20th of July 2013 and participants will be aiming to create an Economics for Survivability, Sustainability and Resilience.